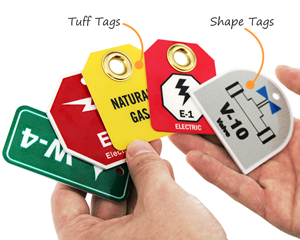 Tags that indicate how a machine gets its energy. 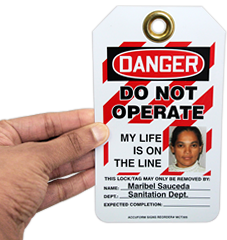 Use this 2-sided Control Panel Micro Tag with bold symbol to draw attention to critical energy source lockout points. 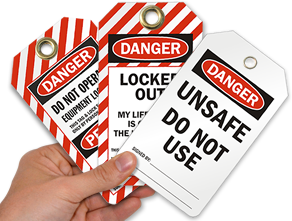 • Tags come with a graphic, numbering, and unique coloring that alert workers of the type of energy source used. 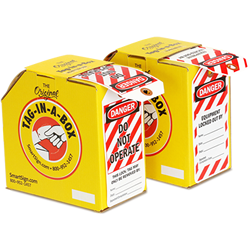 • Heavy duty grommet offers superior tear resistance.